More women are choosing to enter the male-dominated construction industry in New York City, according to newyork.cbslocal.com. The Building & Construction Trades Council of Greater New York City reports women make up 4 percent of the construction unions workforce. 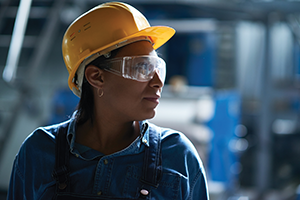 Nontraditional Employment for Women, a sector-based workforce development program that prepares women for careers in nontraditional industries, is helping provide the tools women need to join the construction industry. Nontraditional Employment for Women offers a two-month pre-apprenticeship training program for women in New York City. Many of the women who participate are unemployed or underemployed women of color.